As a teen, I loved fashion even more than my Motorola Hot Pink Razr flip phone. I was rarely seen without a glossy fashion mag cumbersomely hanging out of an impractical handbag. I had an Alexander McQueen metallic-grey puffball mini prom dress stuck on the front of my homework diary; a daily reminder of the future life I was sure to be living when I had “made it” at the ancient age of around 27. I consumed Vogue with relative regularity – mindful of the £3 price tag versus pocket money cost-benefit. But in the summer of 2006, my English teacher recommended I read a book called White Teeth by a new author – Zadie Smith – that featured on our summer reading list. I had never read a modern novel about multicultural Britain – not least with a Jamaican in it! People like me were worthy of discussion; complex characters’ worthy of exploration. I never bought another copy of Vogue for about 10 years. Until now. 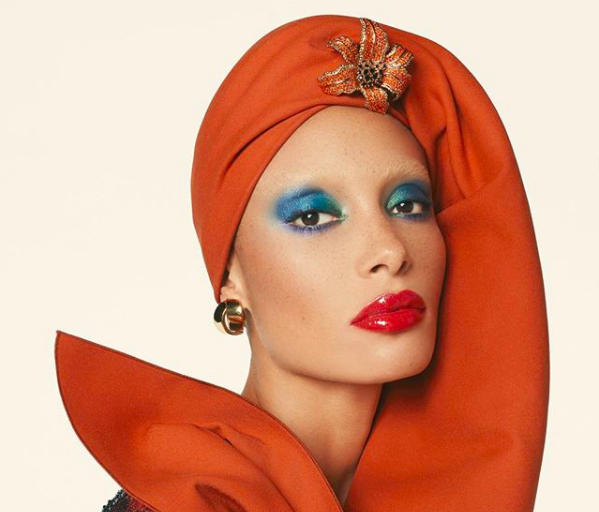 When Edward Enninful, new Vogue Editor-in-Chief tweeted the cover of his first issue featuring the black mixed-race model and activist Adwoa Aboah – dedicated to Great Britain and celebrating its diversity – I knew I would be picking up a copy as soon as it hit the newsstands. Then I saw that Zadie Smith, Sadiq Khan, Jourdan Dunn and Skepta would be featured. 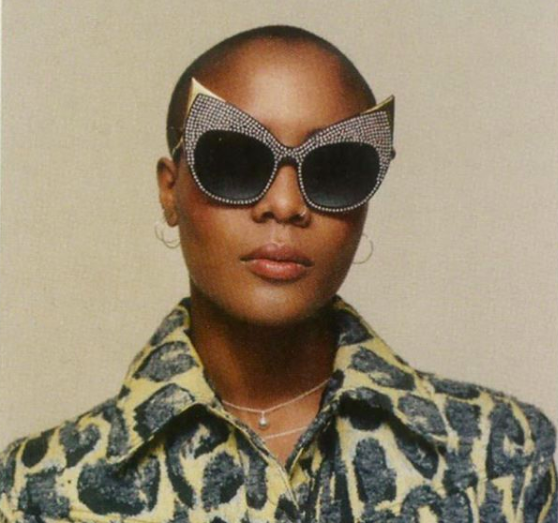 And then I saw on Instagram that our own Editor-in-Chief of gal-dem, Liv Little makes a star appearance modelling some Anna-Karin Karlsson shades (p. 105 FYI). Now I knew I would be reading it asap. But why did Vogue lose me as a fan in in the 2000s and never win me back in over a decade? This hot mess interview by former Vogue editor Alexander Schulman says it all. Vogue has always worn the air of aspiration. But aspirational doesn’t have to be alien. And this is what Shulman did not grasp. It is why old Vogue became irrelevant. Shulman had already shown she was as willing to wear petty as she was to don Prada in a column for Business of Fashion. In a thinly veiled drag of the first Black and first male editor in its 101-year history; a bitter polemic that Naomi Campbell has branded racist – Shulman hints that Enninful is not up to the job. But she is down-right embarrassing when interviewed by Decca Aitkenhead for the Guardian. Shulman fumbles clumsily when questioned over the lack of representation in the magazine on its pages and backstage in the all-white office. Rather than interrogating her practices over the years – unconscious or otherwise – she mostly takes issue with being branded a racist – taking care to mention her son’s Civil Rights activist grandfather and name-checking Campbell as “aggressive”. When she refers to Vogue’s December issue cover girl Aboah as ‘the perfect mixture of mixed race, sort of posh Notting Hill royalty. So she’s the perfect cover star’ it shows why Vogue was in dire need of a new direction. For a new generation that cares about the consciousness of its content, being born rich or beautiful isn’t enough to warrant celebration. Aboah is perfect for the cover because she’s an activist not afraid to speak about her mixed-identity or her mental health. She is a supporter of young women via her platform Gurls Talk. She’s also stunning. 25-years at the helm of Vogue has obscured the drastic context-change in British society from Shulman’s view. Enninful can see this clearly and it is reflected on the pages of his fantastic first issue. The December issue of Vogue realises that even in our escapist fantasies we crave an air of realism and representation. I have never seen so many black models in a mainstream fashion magazine before. Jourdan Dunn recommends YSL killer logo-heels that cost two months’ London rent but also a £7.99 Maybelline highlighter. Black models wear Kappa trackies overlain with a Ralph Lauren wool/cashmere tuxedo coat – yours for only £2,600. December Vogue says what all marginalised activists have been saying since time incarnate – there is space for all of us. There are still shoots in the idyllic British country-side with Corgis, flowers unfurling in bloom and perfectly ruffled blond hair spooling onto a British beach. Zadie Smith writes about the Queen. You can have Daphne Guinness and Skepta. You can have Salman Rushdie speaking on his multicultural Christmas and a history of private members’ club Annabel’s. And New Vogue doesn’t shy away from political statements. Juergen Teller’s photo series features ‘Remain’ signs strapped to a tree and strewn on the ground. Mayor of London, Sadiq Khan, in conversation with Naomi Campbell discuss the challenges facing the city they love and call home. The Creatures of Change segment makes sure discussion on gender and sexuality are not ignored. Britain is not a country at ease with itself. The national conscience has not been redefined – forced to reflect on, or come to terms with, who we really are. A multicultural nation – no longer a brazenly colonial power, but something greater than that – if only we’d accept that we’ve changed. New Vogue holds a mirror up to society so we can see ourselves clearly – exactly as we are. Diverse, eclectic and talented. Sign me up for an annual subscription.